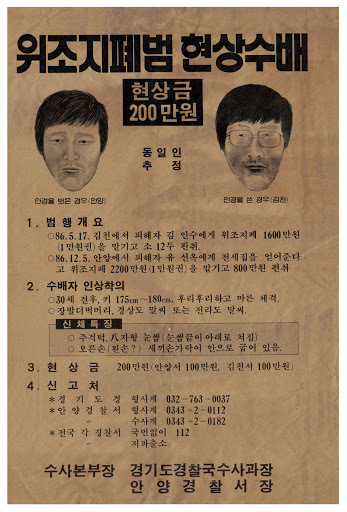 Wanted poster that was plastered up all over my neighborhood in Songtan City, Korea circa 1986. If memory serves this was about a stabbing or something pretty serious. My wife is uncomfortable translating it (hopefully she isn’t described on this anywhere and she’s not a fugitive) so I’m not sure what it is all about. Pretty unique souvenir of Korea for the collection though.